Happy Indigenous People's Day! It’s Alaska’s second annual Indigenous People’s Day, a day that did not exist until last year. Organizers at the University of Fairbanks, Kuskokwim Campus have decided to use the holiday to celebrate Yup’ik culture and heritage by gathering tonight at the Bethel Cultural Center. 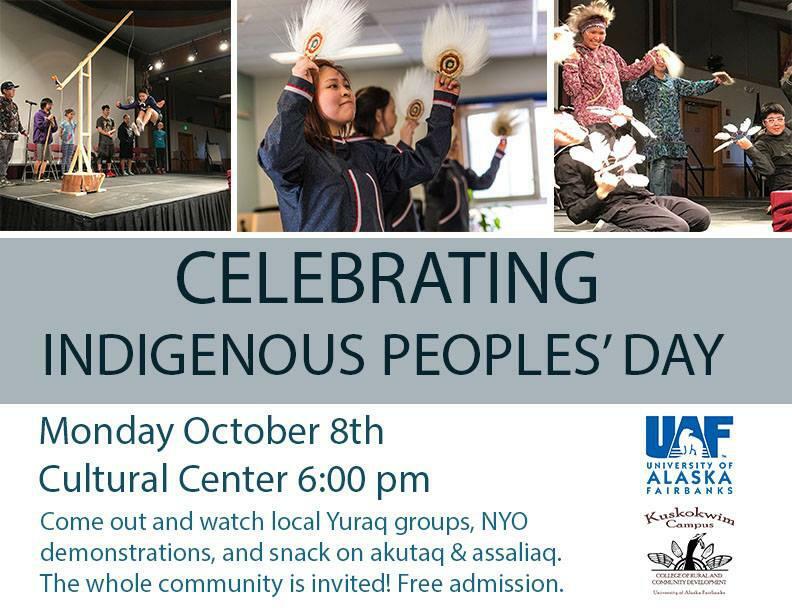 Community members are welcome to come at 6 p.m. to snack on akutaq and assalaiqs, and watch local Yuraq dance groups and Native Youth Olympics demonstrations. Admission is free. For more information, contact Continuing Education Coordinator Laura Ellsworth at 907-543-4515.